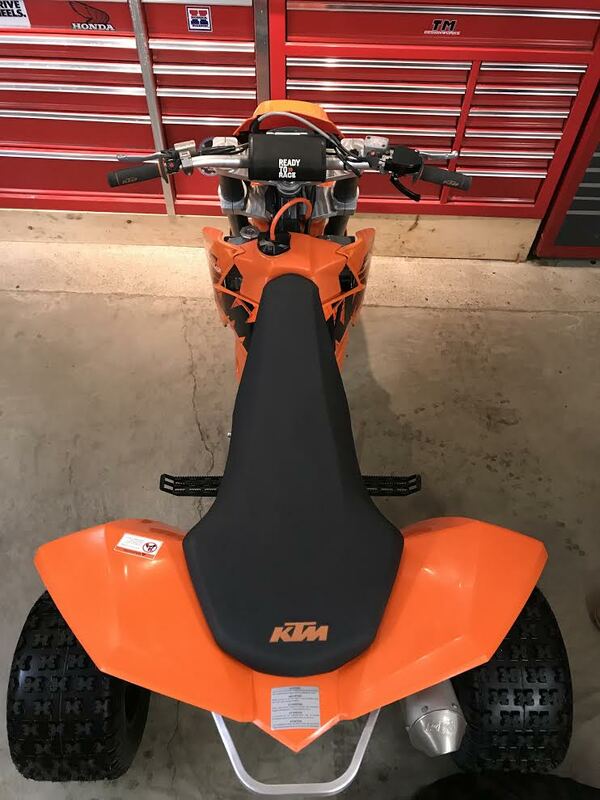 If you’re looking for the latest new 3-Wheeler with KTM flavor then this is the machine for you. 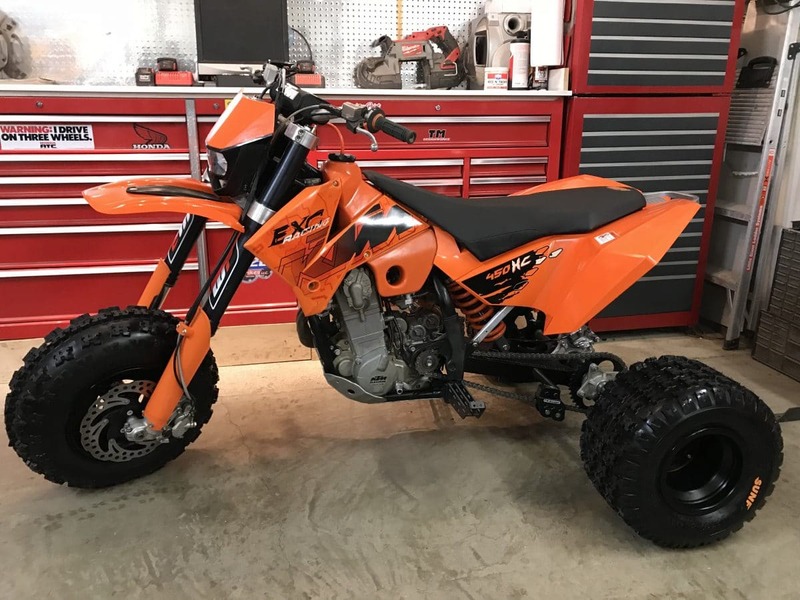 The man responsible for this machine is Michael Noska who owns 220 Trikes LLC, which is a company that specializes in building 3-wheelers. 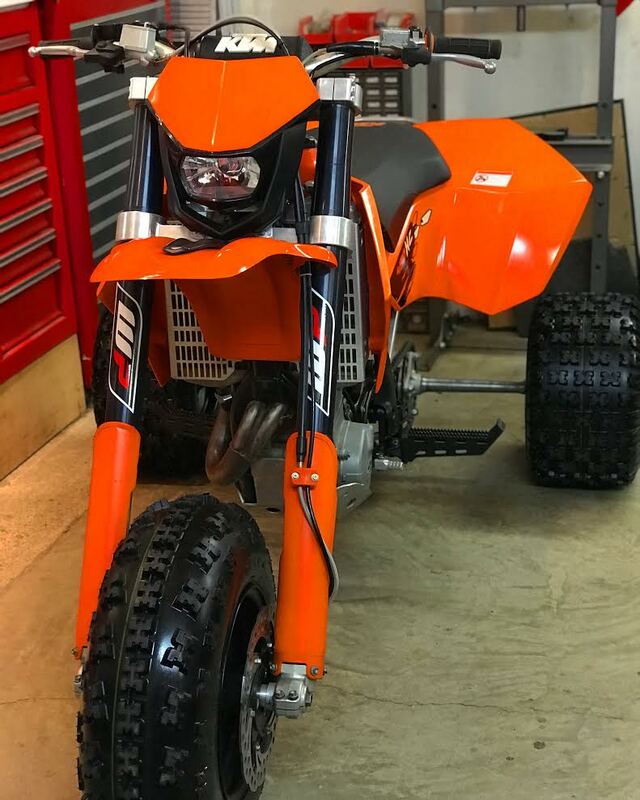 Michael started this conversion with a 2006 KTM 450exc and turned it into a modern day 3 wheeler using all KTM components except for the customized Lonestar swing arm. 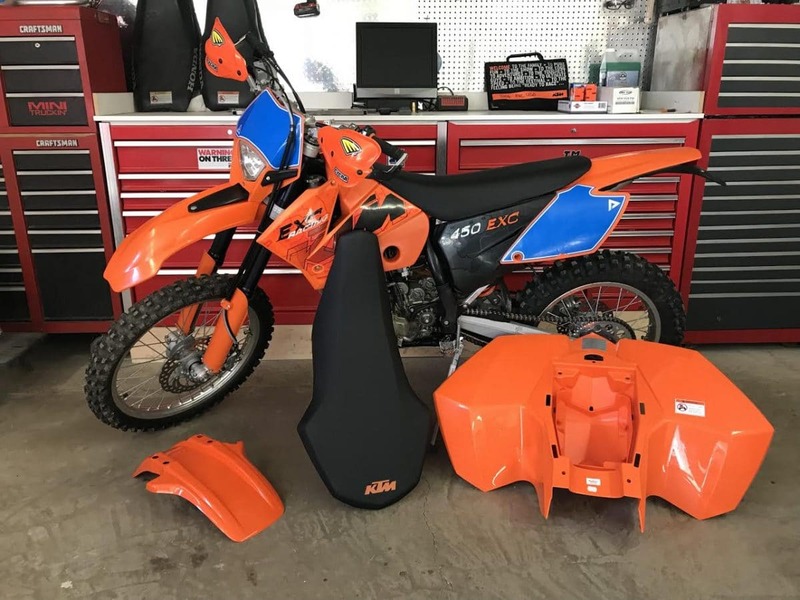 The seat, rear fenders, subframe, and grab bar are all OEM KTM 450xc ATV parts, and the air box and battery mount are exactly the same as the KTM ATVs. 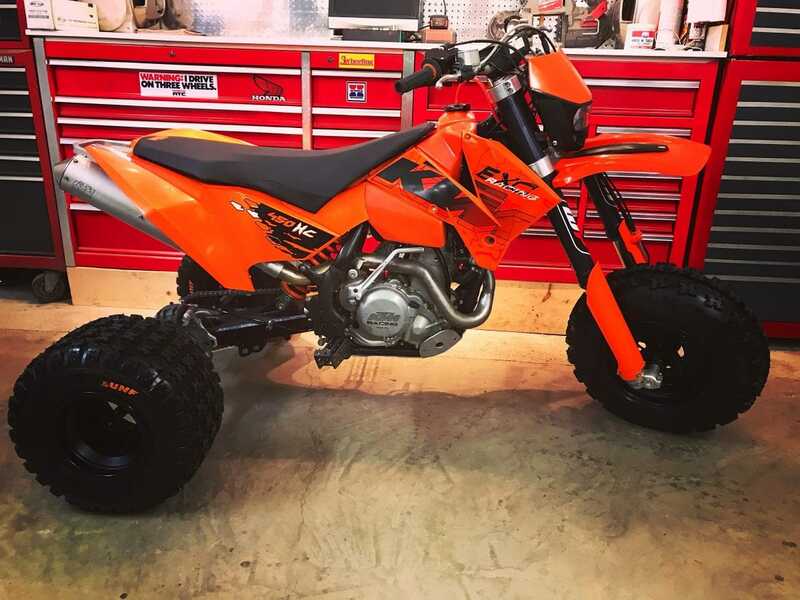 The rear shock is set up to the specs of the KTM 450 XC quad. 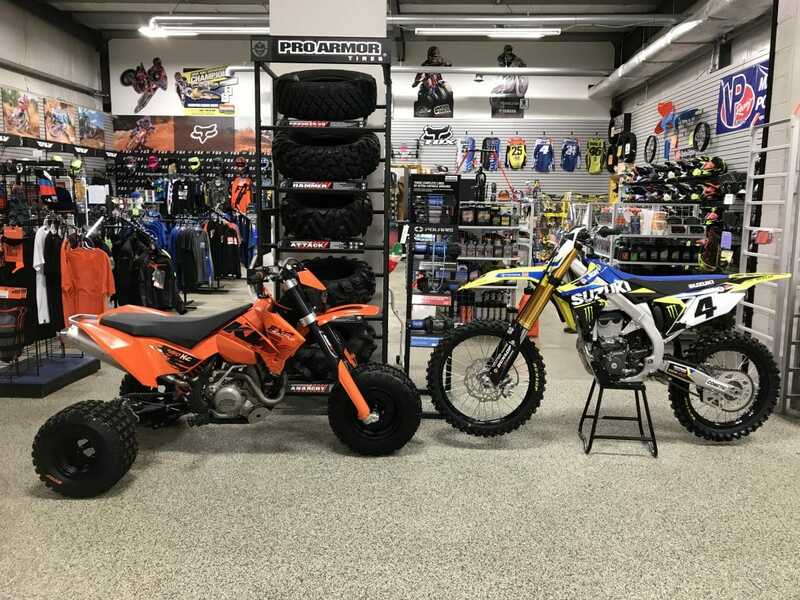 Here is Michael Noska’s KTM 450 3-wheeler sitting in the showroom of Bentley’s Cycles in Pittsburgh, Pennsylvania. That is Ricky Carmicheal’s Suzuki RMZ450 parked next to it. 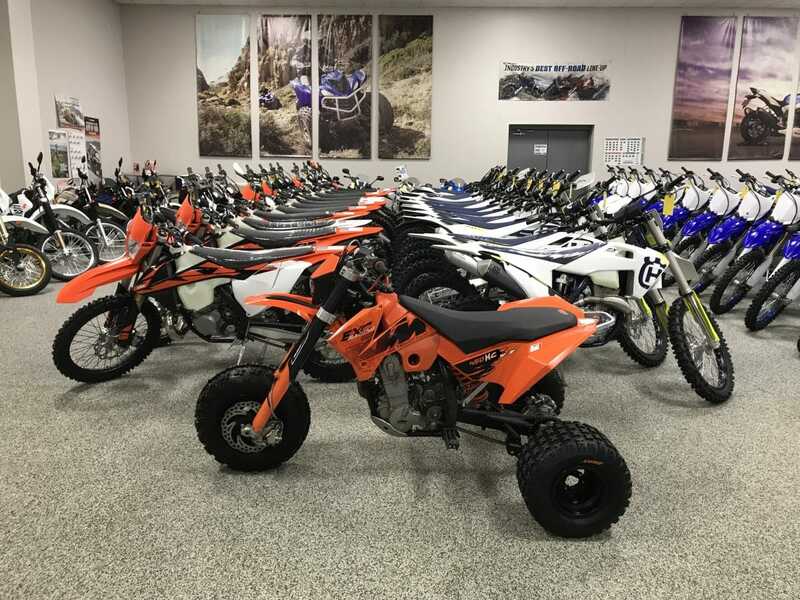 The 3-wheeled KTM looks very production-like and right at home next to these other off-road bikes. Michael Noska’s 220 Trikes LLC shop is located in Penn, Pennsylvania.